You wouldn't try to paint all the walls of your home with one little paint brush, nor would you use hedge trimmers to clip a few herbs from the garden. In the same way, using the right tools in the kitchen is so important. They will help you stay sane and dramatically reduce your overall prep time. 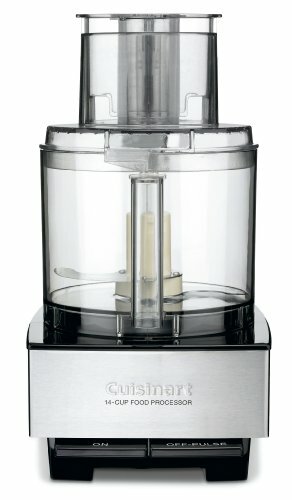 The following is a short list of my favorite kitchen gadgets and small appliances. Thank you for reading! I own one of these at home and used the same one at work for three years straight, and the motor never flinched. This product is not intended for commercial use, but I used it as such and really put it through the ringer. I used it all day, every day and then ran it through a commercial, high-heat dishwasher after each use. I really can't believe how well it held up. I only had to replace the work bowl once (about $35), due to a chip in the back that prevented the top from engaging the motor. I don't imagine a home dishwasher wearing down the work bowl in this way. 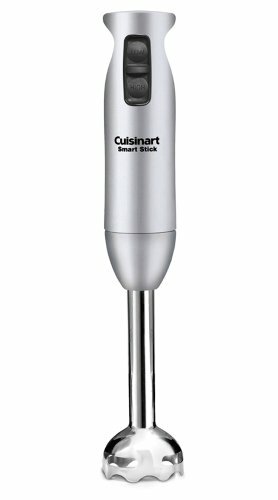 I use it for making salsa, pesto, hummus, aioli, Hollandaise, vinaigrettes, minced garlic, pie dough, quiche dough, biscuit dough, and even (gasp) ground chicken. 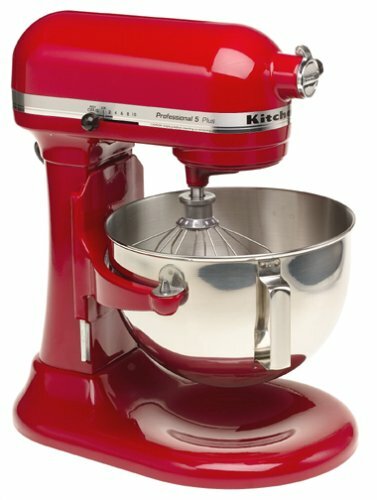 Sure, you could use electric handheld beaters, but the large paddle and whisk attachments on a stand mixer cover the entire area of the bowl, allowing for more even incorporation of ingredients. Besides the obvious baking uses, I also use mine for making mashed potatoes, homemade whipped cream, and pizza dough. It is an absolute necessity when making fancy cake icings such as Italian Meringue Buttercream. Bonus: it comes in 30+ different colors to suit your personality. Confession: I travel with this knife. I LOVE this knife. 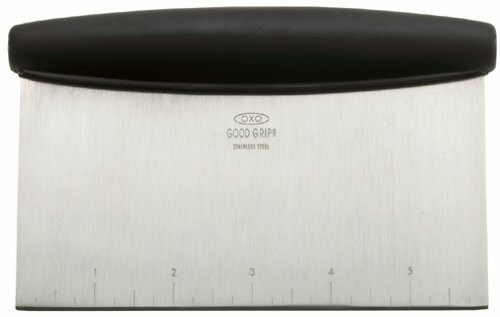 I use it just as much, if not more than my chef's knife. It's perfect for cutting through tough skins without smashing the product. 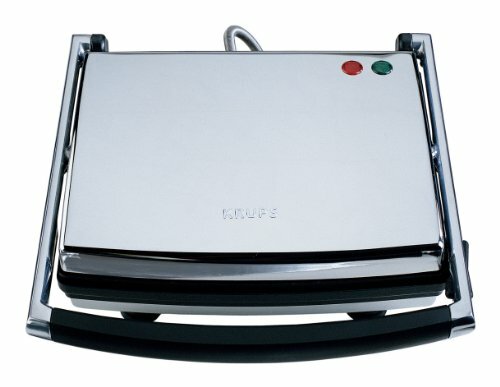 I use it for slicing tomatoes, citrus, apples, cucumbers, sausage links, and sandwiches. I've used this handy tool on a regular basis for over three years and it hasn't broken down yet. Believe it or not, it has actually out-lasted and out-performed a "commercial-grade" one I bought through a vendor at the same time for about five times the price. It can handle anything from soup to heavy marinara. I even use it for whisking eggs, which is especially useful when making scrambled eggs for a large crowd. It drives me crazy to watch people on cooking shows try to scrape out a bowl of batter with a large spoon. Madness! 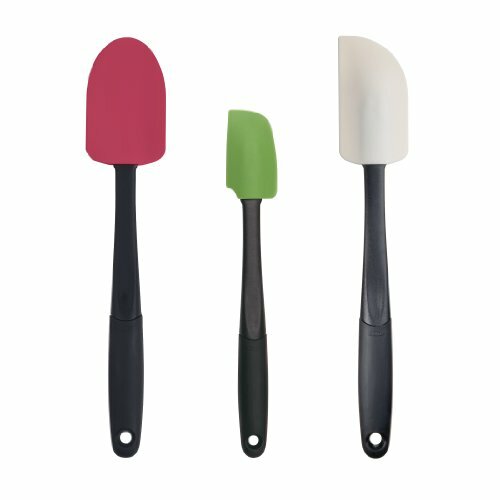 A flexible spatula is the only way to go. My pastry chef teacher in culinary school always made us get every last bit. "There are at least two more cookies and $3.00 of profit left in that bowl," he would say. It's true. These are made of silicone which resists heat up to 600 degrees F, and the variety of shapes makes it easy to scrape out "every last bit" from even the smallest bowl or can. This tool helps you easily extract every bit of juice a citrus fruit has to give. This one is brightly colored, weighted for easy handling, and won't crack or splinter like wooden ones can. I've had this for over 10 years now and love it. It makes a perfectly pressed sandwich, with a crispy, golden-brown outside and a warm, gooey inside. If you love a warm, grilled sandwich, this should be in your collection. 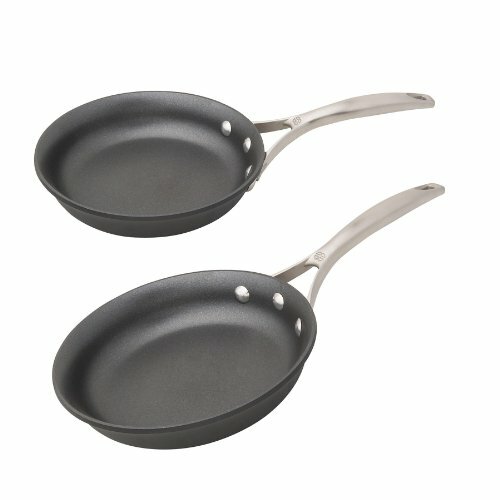 I begrudgingly bought these a few years ago after coming to terms with the fact that my bank account wouldn't allow for the higher-end brand of nonstick pans. Calphalon, you have made me a believer. I probably won't ever buy that more-expensive-really-high-end brand because these are awesome at making the most perfect omelette ever. Use for anything you don't want to stick. For better searing and caramelization, see below. 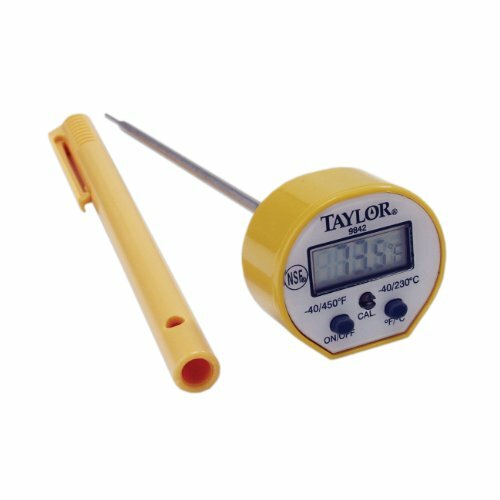 Gambling with salmonella is a risky business, which is why I ALWAYS use a thermometer to check the temp of chicken. It really is the best way to be absolutely sure your chicken is cooked through, and that helps me sleep at night. I also use it when cooking roasts, steaks, pork loin, and even fish. It takes a lot of practice to touch a steak and know what temp it is, so in the meantime, use a thermometer. Your guests will thank you. Baking is a science. Recipes that use weight measurements as opposed to volume are much more accurate. Think about it....not every egg is the same size; a cup of brown sugar versus a cup of packed brown sugar can be a significantly different amount; flour is also a highly variable amount, depending on whether it's sifted, scooped, or packed. 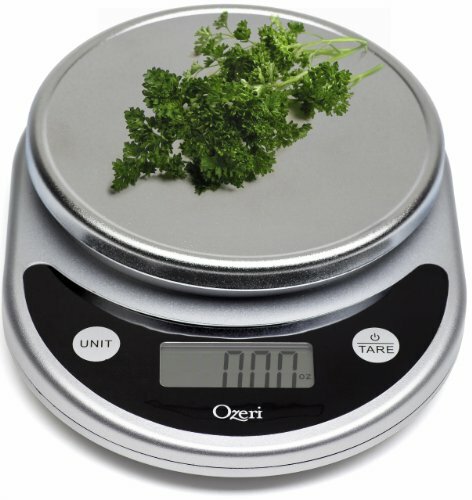 The more precise the measurements, the better the results, and this scale will help you get that. This is also handy when portioning out food like hamburger patties. A must have! Before culinary school, I had never heard of this tool. Now, I can hardly imagine life without it. You can use it for several purposes, such as quickly scooping up diced veggies from your cutting board, but it truly shines in baking and pastry applications. It's the perfect tool for cutting and portioning doughs without ruining your kitchen counters. It also makes a great scraper, hence the name, for scraping up those stubborn flour and dough remnants when a kitchen towel just doesn't cut it.